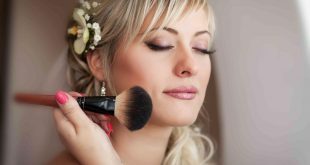 From the time a woman starts wearing makeup, she often pays a lot of attention to learning how to properly apply eyeliner and eyeshadow but very little attention gets paid to what could be the real star – the eyelashes. Mascara is your friend, or at least it can be if you learn how to use it properly. Well chosen mascara that is properly applied can make your eyes pop without the need for a lot of fancy eyeliner and eyeshadow tricks. Mascara will never replace the old standards and it’s definitely a good idea to familiarize yourself with the basics of liner and shadow but mascara is simple, often inexpensive and a breeze to use. I don’t carry my makeup bag with me everywhere I go, but I never leave home without my mascara. First things first, you want to choose the right mascara for you. This can be a bit of a complicated process if you don’t really know what you’re looking for. You can ask a person working in the makeup section of the store you’re shopping in, but most times they’re going to try to sell you the most expensive product. I prefer to stick to the cheap stuff. If you’re willing to play around with a few different, less expensive products you can often find a mascara that offers all the benefits of the expensive stuff at a fraction of the cost. With the money talk out of the way, let’s talk about what you’re actually going to be looking for in the specific product. You want something that has a long, wide, dense brush. If you’re not certain about what kind of brush the product your looking at has, ask if you can see a tester or if you’re buying online, look for pictures of the brush or carefully read the product description. A wide, dense brush with a little length is ideal because it allows you to apply your mascara with fewer swipes of the wand. Each swipe you take with that wand will increase the chances of clumping and clumping is obviously something you want to avoid. Applying with fewer swipes also means less time spent applying mascara which is always a bonus. So you’ve found a great mascara product at a decent price. It has a long, wide and dense brush and seems just about perfect in every way. Wonderful! That means it’s time to talk about color. Mascara doesn’t just come in black. I actually have mascara in a whole rainbow of colors so I can have the right mascara for whatever kind of makeup project I’m working on. If you have light hair and light eyes, choosing the right color for your mascara is even more important. Black mascara may be the old standby but it can look to severe on people with light colored hair or light colored eyes. Instead, consider trying out brown or plum colors. If you like the more severe look though, black is fine. It’s just fun to try out different colors so if the price is right, go for it! A while back, a woman at the makeup counter in my local drug store offered me a free makeover. I jumped at the chance to get my makeup done by a professional but also to get some great makeup tips in the process. One of those tips has really stayed with me and has probably saved me a whole lot of money. When buying makeup, don’t buy into the hype. While many of the more expensive brands promise all sorts of remarkable things, you can often find less expensive products that will do the same job. This goes double for mascara. If you know how to properly apply mascara, you don’t need to spend a lot on the fancy stuff. 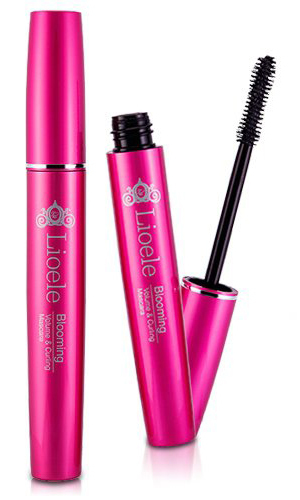 I would recommend checking out the lengthening, waterproof mascara from ELF cosmetics. 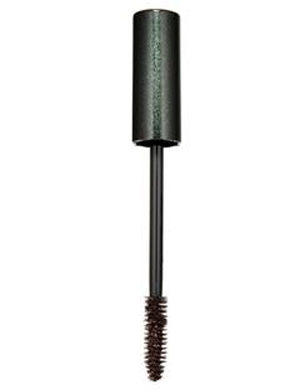 It’s my personal favorite and is more than enough for even those with shorter lashes. It’s also incredible inexpensive. They have a great sale on right now that offers free shipping on orders over $25. There’s a link to their website at the end of this article. I can’t recommend them highly enough. Okay, we’ve talked about finding the right product and choosing the right color. It’s time to talk about how to properly mascara to make your eyes pop. We can do this part in bullet for because all of these tips are pretty simple but trust me, they make all the difference in the world. Always apply mascara from the root to the tip of the lash. As your moving your mascara wand along the lash, give the wand a little jiggle from left to right. You don’t want to make it a huge gesture or you’ll make a mess. Just a little motion does the trick. 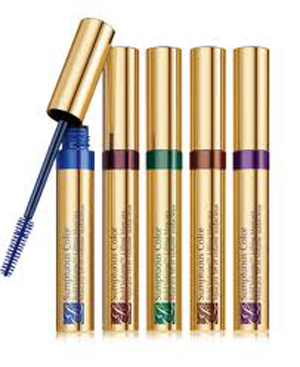 This ensures you coat all of your lashes evenly and also helps to prevent those dreaded clumps. Hold your applicator horizontally (from left to right instead of up and down) and twist the wand upward. This gives your lashes a nice lift. Only use one swipe of the wand if possible. Allow the first coat to dry completely. Apply a second coat but this time, hold the applicator vertically (up and down). Do any necessary touch ups with the tip of the wand. Your lashes will look full and fantastic! Okay, let’s take a moment or two to talk about a very common mascara mistake. If you have short bottom lashes, don’t overcompensate for that by using more mascara. In fact, in the case of short lashes, you aren’t going to want to put any mascara on the bottom lid. That doesn’t seem to make a lot of sense on the surface but that’s likely why it’s such a common mistake. The truth is, putting mascara on short lashes accentuates how short those lashes are and makes them look even shorter which is obviously not something you want to do. Instead, you’re going to want to define the lower lid with a little pencil eyeliner along the lash line. Smudge the liner just a little bit. This gives the illusion of longer lashes and makes the look of the eye appear more balanced. Don’t use black eyeliner for this unless you’re going for a smoky eye. Instead, use dark brown. It will work better with your natural lash color. Black will make it too dark, unless that’s what you’re going for. In the end, you’re just going to want to experiment with what works best for you. You know what you feel most comfortable with. Hi I just want to thank you for explaining how to make your eyes pop.Great instructions I went and bought the elf prod thank you for saving me money. All I can say your awesome keep up the great work. Isn’t ELF amazing? My absolute favorite. I’m thinking about doing some product reviews of their cosmetics in the near future so make sure you check back.